Buying jeans – it’s a bugbear for all but the most perfect-figured among us. 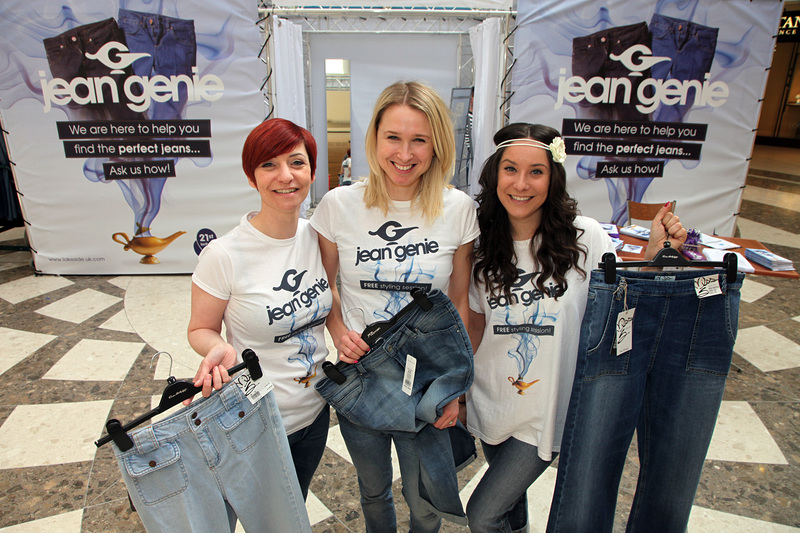 Never mind, though, as the clever bods at Lakeside have come up with a way of getting us all looking fab in our jeans…with the help of Jean Genie! From 30th March to 1st April the Jean Genie stylists will help shoppers of all ages find the perfect pair of jeans to fit their shape and complement their style. From bootleg to cropped, skinny to straight leg, Jean Genie aims to help solve all of your denim dilemma, and of course it’s absolutely free, too. Inspired by the likes of celebrity favourites Mila Kunis, Jay-Z and Jennifer Aniston, Jean Genie aims to indulge shoppers with a unique styling experience, complete with expert stylists and the latest new season fashion. The stylists will also be on hand with extra tips to complete the look, including shoes and accessories from the shops within Lakeside! If you’re interested (and who wouldn’t be) you can book a slot at http://www.lakeside.uk.com, or take a chance and turn up on the day (subject to availability), for your one-to-one 30 minute consultation with the Jean Genie stylists who will find the perfect jeans for you. You’ll be given a personalised styling card with product information so that once your perfect fit is found, you can get the best jeans for you from the shops. Shoppers will also be treated to a complimentary £5 Lakeside Gift Card when they show proof of a purchase from their Jean Genie session. Plus, there will be an exclusive Jean Genie guide containing top tips for finding the perfect pair of jeans, understanding your shape, celebrity inspirations, accessory trends and some fantastic retail offers. This entry was posted on March 21, 2012 by inspiredessex in Essex Events, Ladies Fashion, Ladies Time Out and tagged Chelmsford Magazine, jeangenie, jeans, Lakeside.